An FHA Streamline allows borrowers to refinance their existing FHA-insured mortgage loan. Streamline refinance requires limited borrower credit documentation and underwriting from lenders. FHA streamline refinancing offers borrowers the choice to qualify under credit or non-credit options. How does the FHA Streamline work? A streamline refinance can be offered in several ways. First, lenders can offer “no cost” refinances, which require borrowers to pay no out-of-pocket expenses. Instead, lenders will issue a higher interest rate on the new loan if the borrower decides to pay for the closing costs in cash. Because of this, lenders pay for any closings costs that occur during this transaction. Lenders are not allowed to include closing costs in the new mortgage amount of a streamline refinance according to the FHA. Straightforwardly, using an FHA streamline refinance allows current FHA loan borrowers the option to lower the rate on their mortgage without meeting an extensive list of criteria. What are FHA Streamline programs? Depending on how much money is owed, your financial situation and how long you anticipate on living in the home, can dictate which rate option would be more beneficial for you. What are FHA Streamline guidelines? How do you qualify? No appraisal is required. The FHA streamline refinancing program does not require an appraisal because lenders can assume your home’s current value matches the home’s original price. This is used as an advantage if your home’s value has decreased since you first purchased it. In addition, since homeowners are not required an appraisal, neither is the cost to pay for one, which has helped people save hundreds of dollars. In addition, lenders do not require borrowers to verify their employment status, income or credit score. Lenders can approve a streamline refinance without checking a borrower’s employment or income. They won’t even request a credit report to evaluate their credit risk. This is also a huge advantage for FHA borrowers who want to refinance their loan. The process will be much quicker, and they can still be approved even if they have a lower credit score, no income or no home equity. If borrowers cannot meet these requirements, they must wait to apply until these qualifications are met. The FHA loan borrowers want to refinance must be at least 210 days old and requires a minimum of six payments to have been paid. In the mortgage industry, this is often referred as “seasoning”. Lenders cannot start a streamline refinance process without this requirement being met. Applicants must also prove the outcome of their streamline refinance will have a net tangible benefit. This simply means, the refinance will leave borrowers more financially stable than before. 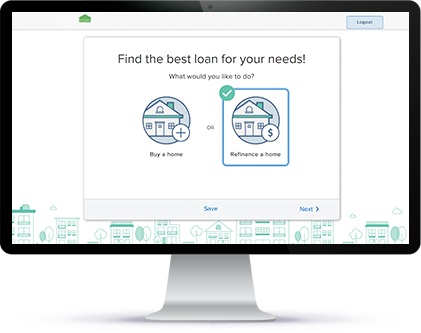 Depending on whether the streamline refinance is an adjustable-rate mortgage (ARM) or fixed-rate mortgage will also influence how net tangible your new loan will be. Your lender will be able to determine whether your new loan will meet this requirement. What are FHA Streamline refinance pros and cons? A streamline refinance offers several benefits for current FHA loan borrowers. Typically, homeowners look to refinance their mortgage, so they can decrease their monthly payments or shorten their loan’s term. However, with a streamline refinance, there are several additional benefits. For example, lenders do not need to check for homeowner’s employment status, income or credit score. This makes it easier for borrowers to qualify compared to traditional refinancing. In addition, no appraisal is required, which saves homeowners even more money. Although the streamline refinance offers many pros, there are some cons as well. Because the streamline refinance gives borrowers the flexibility to put down as little as 3.5% for the down payment, lenders are able to issue higher interest rates and require homeowners to purchase private mortgage insurance (PMI). Depending on how much borrowers put down will affect how expensive insurance premiums will be. Borrowers must also set aside additional money for closing costs. If your streamline refinance is not a “no cost” transaction, lenders will require borrowers to pay for closing costs. These funds cannot be included into your new loan amount, so homeowners will need to have enough cash to cover the costs. What are FHA Streamline refinancing costs? Most commonly, borrowers will be required to pay for closing costs when they refinance an FHA streamline. The only difference with streamline refinancing closing costs does not require homeowners to pay for an appraisal. Homeowners can expect to pay between $1000 and $5000 for FHA streamline refinancing closing costs. But, keep in mind this amount could be higher or lower depending on your new loan amount, down payment and other factors. What is an FHA Streamline cash-out? Current FHA borrowers are given the option to pay off their existing mortgage, while creating a larger home loan that provides them additional funds, which is also known as a FHA cash-out. The total amount of money that can be borrowed depends on how much equity has been built up in the home. In order to be eligible for an FHA cash-out, borrowers will need a minimum of 15 percent equity built up in the home based off a new appraisal report. Simply put, equity is the monetary difference between the current value of the home and the amount owed on the mortgage. Applicants must have a minimum credit score of 580 to qualify for a FHA streamline cash-out. Some lenders may even set their own limits and require applicants to have a minimum credit score between 600-620. Lenders are able to do this because cash-out refinances require more attention compared to a regular FHA streamline refinance. Borrower’s debt-to-income ratio is also evaluated to determine their eligibility for a cash-out refinance. To calculate your debt-to-income ratio, add your monthly mortgage payments, and all other recurring monthly expenses (i.e. credit card, car loans, utilities, homeowner’s association fees, etc.) and divide it by your gross monthly income. Typically, lenders like to see an applicant’s debt-to-income ratio lower than 43 percent. This gives lenders reassurance your income is greater than the total debt you owe monthly. Cash-out streamline refinances also evaluates applicants maximum loan-to-value (LTV) ratio. According to the FHA, the maximum amount homeowners can borrow is up to 85 percent of the home’s current value. Lenders calculate this ratio by dividing the new loan amount by the new property value based off the appraisal. Lastly, applicants are required to prove they are on good standing with their mortgage payments. Lenders will review an applicant’s payment history to determine if the borrower has made all monthly payments on time since they have obtained the loan. Usually, lenders require the property to have a minimum of 6 months’ worth of completed payments before homeowners can apply for a cash-out refinance.